When I recently compared six alternative web browsers iPad Browsers Compared: Which Is Best? iPad Browsers Compared: Which Is Best? Safari is the iPad's default web browser, but that certainly doesn't mean it's automatically the best tool for the job. 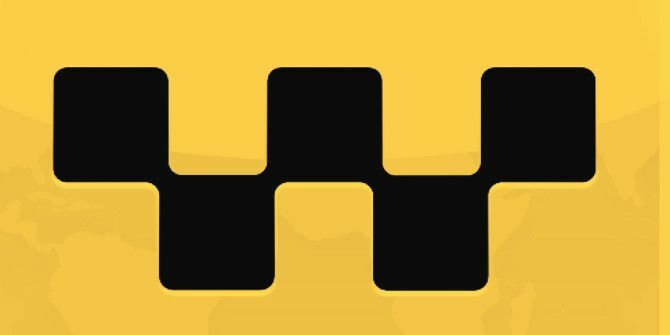 Read More for the iPad, I didn’t know about iCab ($1.99, universal) – a browser several MakeUseOf readers thought should have been a part of my review. And they were absolutely right. iCab is now in its 8th version, with an optimized iOS 7 redesign and a boat load of features and customisations. It compares well to the Atomic Web (reviewed here) Atomic Web Browser Brings Advanced Web Browsing to iPhone and iPad Atomic Web Browser Brings Advanced Web Browsing to iPhone and iPad If it were possible, I would make Atomic Web ($0.99) the default web browser for my iPhone and iPad Mini. Atomic Web has already replaced the iOS version of Safari on my homepage, but it... Read More and Mercury web (reviewed here Looking To Ditch Mobile Safari? Mercury Browser Pro Is The App For You [iOS, Free For A Limited Time] Looking To Ditch Mobile Safari? Mercury Browser Pro Is The App For You [iOS, Free For A Limited Time] Most iOS users are happy to use Mobile Safari. It's a solid browser with many of the features users need, but for some users, it's not enough. Some of us want more from our browsers... Read More ) browsers, but its sharing modules are more extensive, including the ability to save web pages to Safari’s own Reading List 15 Time Saving And Clutter Free Safari Features & Tips You Should Know About 15 Time Saving And Clutter Free Safari Features & Tips You Should Know About If browsing the web is one of the top three things you do on your computer everyday, you owe it to yourself to become familiar with as many time saving and clutter free features as... Read More . Let’s dig deeper and see what iCab has to offer. When I first launched iCab, I felt the modern iOS 7 design didn’t provide much contrast for the tool bar elements, but as I poked around in the app’s settings I discovered you can switch from the modern toolbar, back to the classic design, and even customize the color. As you learn the different ways iCab provides access to its various features and tool buttons, you might actually be tempted to hide the tabs and bookmarks toolbars, the status bar, and even the document title in order to gain a more screen real estate. Similar to a few other third-party iPad browsers, iCab includes a drop-down window with a preview of your opened tabs, plus it lists the open tabs of iCab on your iPhone if you enable iCloud sharing (located in the services part of settings). If that’s not enough, there’s also a quick start view of tabs and bookmarked pages which you can see in the screenshot below. Under user interface of settings you can tap on toolbar icons to arrange or hide various elements. In addition to regular toolbar features found in most web browsers, iCab includes buttons for brightness control, a scrolling pad, font size changes, and access to the password management service, LastPass. You can even select the transparent tool buttons you want visible in full screen mode. If you really want to go to town while web surfing, you might also use iCab’s custom gesture features. The app includes multiple finger gestures for navigating web pages and tabs, but it also includes draw gestures for over a dozen browsing actions. The draw gestures are drawn on an adjustable pallet that can be moved around on the screen. Though there are a couple of dozen default gestures, you can customize these and create new ones. I was surprised by the number of modules in iCab for sharing web pages to services including Evernote and SpringPad, Google+, Facebook and Twitter, Readability, Diigo, and Pinterest. There are also modules for URL shortening, enabling AirPlay, adding a task to the task manager Omnifocus, plus a a module for adding items to your Amazon Wish Lists Add Anything to Your Amazon Wish List With This Chrome Browser Addon Add Anything to Your Amazon Wish List With This Chrome Browser Addon Occasions to give and receive gifts happen throughout the year. Likewise, you have the whole year to craft your own wish list and collect gift ideas for friends and family. But do you have a... Read More . This is one incredibly customisable browser, and if you use a niche bookmarking or read later service that isn’t supported in Safari, iCab steps up the game. If you share your iPad with other people, you can set up two or more accounts for iCab, and then passcode your settings, bookmarks, and other personal data – something even Apple has yet to do. There’s also a privacy mode that can be disabled after a specified period when the app is closed. In addition, there are filters for blocking advertising banners, and the ability to save tabs and bookmarks for offline viewing. The best way to get the most out of what iCab has to offer is to spend time learning about its features, creating draw gestures, and setting up the user interface to fit your typical browsing workflow. Thanks again to MakeUseOf readers for passing on the recommendation to try out iCab. We always welcome your feedback and recommendations – do you have anything else you’d like to share? How to Use Snapseed: 10 Tips for Better Snapseed Photo EditingEasilyDo Or Google Now: Which Is The Better Personal Assistant? Great write up, Bakari! I'm liking iCab a lot more since the last update. I think it's the iOS 7 styling. The button in the address bar to access LastPass also seems to work a lot better—for a while I had to try to tap it three or four times before I would get it dead on. I didn't know about some of these features, though, and I'm going to have to check them out!